This panel shows the authorized users for the Organization. User’s names and username are shown here. 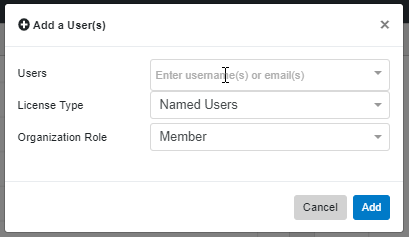 To add a user, just select the “Add User” button on the panel and get the pop-up menu shown below. 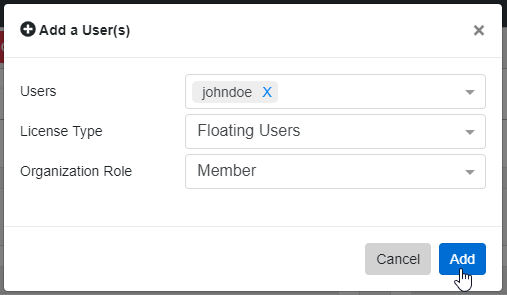 Once you click "Add", the user should be added to the list. Once you click “Add”, the user should be added to the list.